In an interesting and potentially quite powerful arrangement, GoPro and Red Bull yesterday announced a partnership that will include “content production, distribution, cross-promotion and product innovation.” The latter company, which has long been a media company as much as a purveyor of fizzy energy drinks, will receive equity in the camera maker while making GoPro the exclusive provider of “imaging technology” for Red Bull productions and at Red Bull events. It’s been tough going for GoPro of late. 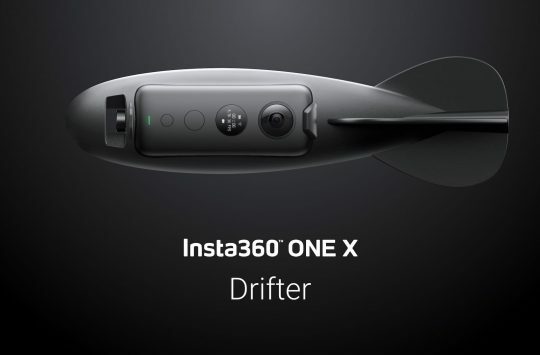 Despite being virtually synonymous with the term action camera, the competition is nibbling away at their market share and with most potential consumers already owning one (or three) sales haven’t been meeting targets. 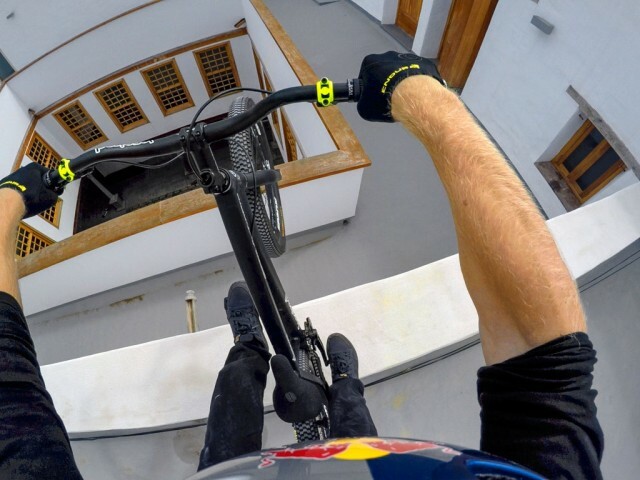 With a long-rumored (and perennially absent) drone on the horizon Red Bull may be doing some bargain shopping, picking up equity with minimal up-front cost while GoPro retrenches itself with the action sports vanguard and those who follow them. This is an interesting time for print and digital media, with Red Bull is as responsible as anyone else for the blurring of the lines between advertiser, content producer, and publisher. 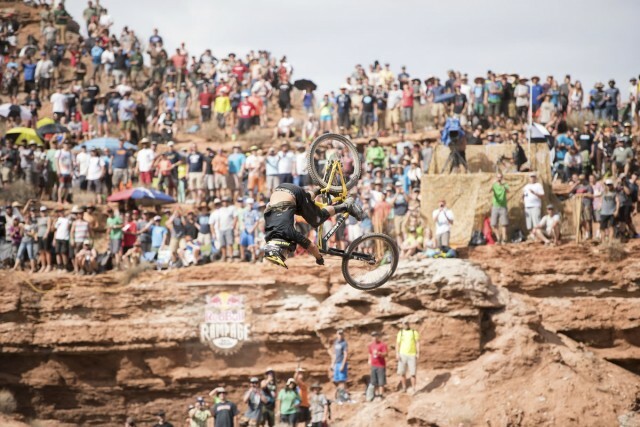 For our part, Singletrack’s publisher Mark Alker has drawn a line in the sand, and as promotional monies shift away from media outlets toward sponsored productions we have made a concerted effort to identify the videos and stories we feel have editorial value – and reject those which do not. What is it with Austrians and the desert? 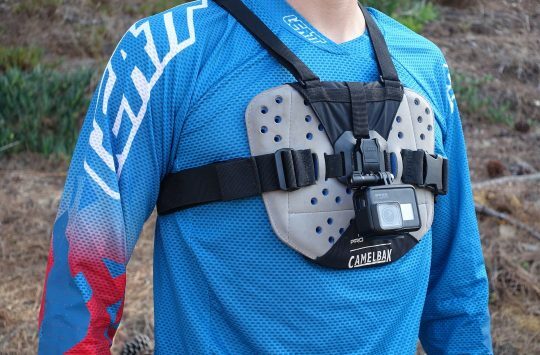 While the official press release doesn’t say as much, the GoPro/Red bull tie-up could have greater implications in the camera market than anywhere else, with competing manufacturers potentially shut out of lucrative events and possibly even sponsorship deals. As with product placement in film and television, it has become increasingly important for consumers to understand these relationships and who is footing the bill for their entertainment. 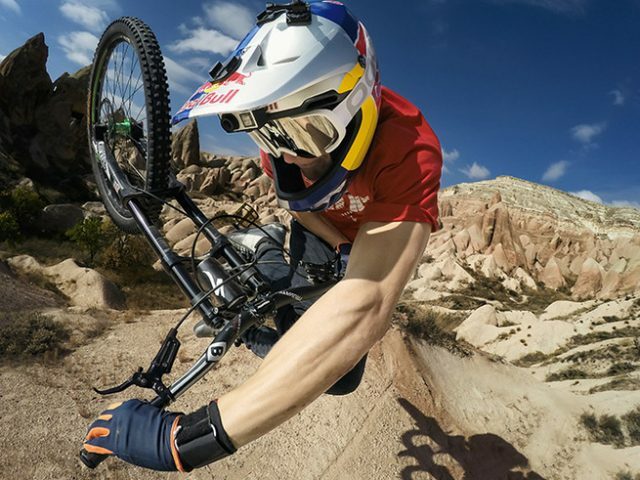 SAN MATEO, Calif., May 24, 2016 — GoPro (NASDAQ:GPRO) and Red Bull today announced they are joining forces on a multi-year, global partnership that includes content production, distribution, cross-promotion and product innovation. As part of the agreement, Red Bull will receive equity in GoPro and GoPro will become Red Bull’s exclusive provider of point-of-view imaging technology for capturing immersive footage of Red Bull’s media productions and events. 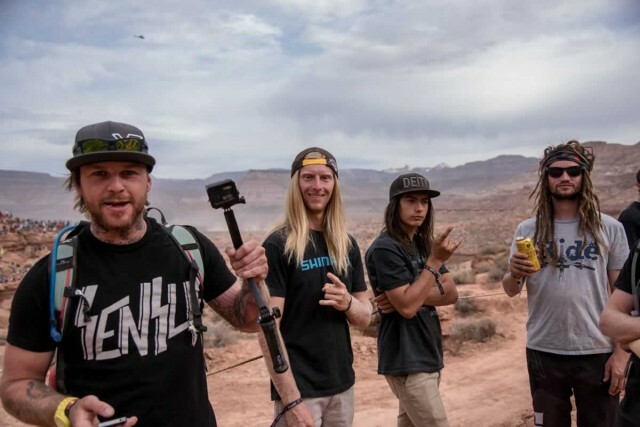 GoPro’s product and brand will have access to more than 1800 Red Bull events across more than 100 countries, the companies will share content rights on co-productions, and related content will be distributed across both Red Bull and GoPro’s digital distribution networks, including The GoPro Channel, Red Bull TV, Red Bull.com and in the Red Bull Content Pool, Red Bull’s media service platform. About GoPro, Inc. (NASDAQ:GPRO): GoPro, Inc. is transforming the way people visually capture and share their lives. What began as an idea to help athletes self-document themselves engaged in their sport, GoPro has become a standard for how people capture themselves engaged in their interests, whatever they may be. From extreme to mainstream, professional to consumer, GoPro enables the world to capture and share its passion in the form of immersive and engaging content. GoPro, HERO, Omni, Odyssey, Kolor, HEROcast, Autopano, and their respective logos are trademarks or registered trademarks of GoPro, Inc. in the United States and other countries. All other trademarks are the property of their respective owners. 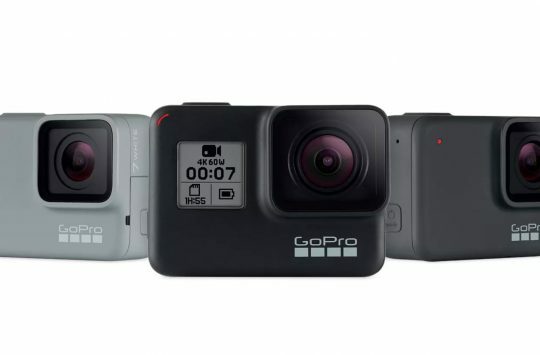 For more information, visit www.gopro.com or connect with GoPro on YouTube, Twitter, Facebook, Pinterest, Instagram, or LinkedIn. About Red Bull (including Red Bull Media House): Red Bull is the leading global energy drink available in more than 169 countries, giving wings to people and their ideas. Since its foundation and the creation of an entire new category in the mid 80’s, story telling is a part of Red Bull’s DNA. The launch of Red Bull Media House in 2007 enabled Red Bull to formalize its content offerings, from production and collection to distribution and turn it into a new business. Red Bull Media House’s portfolio includes today hundreds of social media channels, long and short form videos, still images, documentaries, feature films, music, games and mobile apps, as well as print products like “The Red Bulletin” and digital platforms like RedBull.tv and RedBull.com. I would like to see them tackle the issue of litter as red bull cans are *everywhere*. It wouldn’t take much of their shared might to portray littering as uncool.